Lisa Velez, better known by her stage name “Lisa Lisa”, was born on the 15th January 1967, in New York City, USA of Puerto Rican ancestry. She is a musician, singer, probably best recognized for being the lead singer of Lisa Lisa and Cult Jam, a freestyle music group which has released four studio albums and a number of hit singles. She is also known as a solo artist, who released “LL77” in 1994. Her career has been active since the early 1980s. So, have you ever wondered how rich Lisa Lisa is, as of early 2017? According to authoritative sources, it has been estimated that the total size of Lisa’s net worth is over $3 million, an amount which has been accumulated through her successful career in the music industry. Another source of her wealth is coming from her guest starring in the TV series “Taina”. Lisa Lisa hails from a large Latino family, as she is the youngest of ten children. She spent her childhood in her hometown’s neighborhood Hell’s Kitchen, and attended Manhattan’s Julia Richman High School. As a child, she began to sing in the church choir, and later started to expand her career through activity in high school musical productions. Parallel with that, Lisa also performed at one of the most popular dance clubs – called the Fun House – where she was spotted by Alex “Spanador” Mosely and Mike Hughes, and soon her professional musical career began. The trio formed a band called Lisa Lisa and Cult Jam, in which Mosely was the guitarist/bassist, and Hugher was the drummer and keyboardist. The band’s debut album came out in 1985, entitled “Lisa Lisa & Cult Jam With Full Force” via Columbia Records, and became a complete success, achieving platinum status in the US and reaching No. 16 on Billboard’s Top R&B/Hip-Hop Albums chart, which added a considerable amount to Lisa’s net worth. In the same year, she recorded the single “I Wonder If I Take You Home”, which topped Billboard’s Hot Dance/Disco chart, and went gold. This encouraged the band to continue to work together, so two years later “Spanish Fly” was released, and it achieved platinum status in the US and gold status in Canada. The singles “Lost In Emotion” and “Head To Toe” peaked at No. 1 and went on to achieve gold, increasing further her net worth. Their third album – “Straight To The Sky” – came out in 1989, peaking at No. 18 on the Billboard Top R&B/Hip-Hop Albums chart. Two years later came out their fourth and final album, entitled “Straight Outta Hell’s Kitchen”, but was a relative failure. Beside that, they also released five compilation albums, however, the trio disbanded in 1991, after which she focused on her solo career. As a solo artist, Lisa released her debut album in 1994, entitled “LL77”, with such hit singles as “When I Fell In Love”, “Skip To My Lu”, among others, which added a lot to her net worth. Furthermore, in 2009 out came a full-length album named “Life ‘n Love” via the Mass Appeal record label, on which she collaborated with rapper Pitbull on the single “Can’t Wait”, but without any major success. When it comes to speak about her personal life, Lisa has been married to Antonimar Mello since January of 2005; the couple has two children together. In free time, she is very active as a spokesperson for breast cancer awareness, as she had it and survived. 1 Tattoo of the musical notes of her biggest hits around her ankle. 1 If you got an arm put it up! 2 Aunt of Jose Soto. 4 Lisa has toured with David Bowie, Teena Marie, New Edition, Run DMC, SWV, Salt N Pepa and Full Force. 5 Lisa's "Head to Toe" hit #1 on the Billboard Hot 100 Chart in July of 1987. Her second #1 "Lost In Emotion" peaked just two months later. 6 Lisa has sold over 20 million records. With over over 14 Top 40 hits. 7 Lisa was the first Latino to cross over from the RnB to the Pop charts. 8 Lisa had said that Nickelodeons "Taina" was loosely based on her childhood. 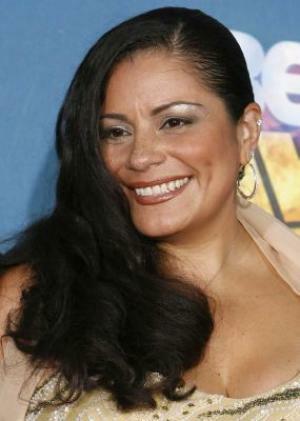 She played Taina's mother in the show. 9 Lisa sang background vocals on Patti Labelle's "I Got It Like That". 10 Lisa wrote the anthem for the National Suicide Prevention Campaign titled "Someone To Love Me for Me" a duet with Full Force in 1987. 11 Lisa recorded her first hit song at the age of 13, "I Wonder If I Take You Home". 12 Lisa is a breast cancer survivor. She is an active spokesperson for breast cancer awareness. 13 Lisa was awarded "Most Successful Latin American Musician" by President George Bush in 1990. 14 After her contract with Columbia was up in 1993, Lisa Lisa left Cult Jam and made a run at a solo career with her album "LL77". $3 Million 1967-01-15 a freestyle music group which has released four studio albums and a number of hit singles. She is also known as a solo artist Alex “Spanador” Mosely American Antonimar Mello better known by her stage name “Lisa Lisa” in New York City January 15th 1967 Lisa Lisa Net Worth Lisa Lisay Jones Lisa Velez Manhattan’s Julia Richman High School Mike Hughes Music Department Musician New York City Pitbull probably best recognized for being the lead singer of Lisa Lisa and Cult Jam Singer USA USA of Puerto Rican ancestry. She is a musician was born on the 15th January 1967 who released “LL77” in 1994. Her career has been active since the early 1980s.